Brief Synopsis – After a reporter and her crew experience a problem while filming a news segment in a Nuclear Power Plant, they do all they can to try and prove the dangers of such a plant. My Take on it – This is a film that I saw once a little over a decade ago and didn’t recall much besides the powerful performances of the lead trio. 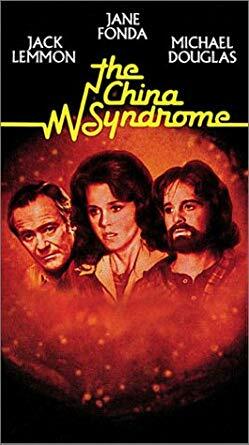 Jane Fonda, Jack Lemmon and Michael Douglas are all great here and I assume that the fact that each was also known for their social advocacy outside of the Hollywood personas helped them make their performances feel even more realistic. The premise of the film itself is a great one and amazingly was quite prophetic in its ideas (see Trivia section below). The storyline created here still seems very relevant even after nearly 40 years because the way of the world and the bureaucrats in power haven’t changed much over the intervening years. The find a great way to raise the level of thrills even in a film like this which helps keep the viewer on the edge of their seat as they watch the possible downfall of civilization right before their eyes. Bottom Line – Very interesting idea that actually seemed somewhat prophetic in the ideas that it presents (see Trivia section below). Fonda, Douglas and Lemmon all play their parts quite well and the fact that all three are also known as social advocates outside of their Hollywood personas helps them with these performances. The storyline itself still feels relevant even after nearly 4 decades because unfortunately not much has changed in the bureaucracy of the world since then. Recommended! I saw this movie for the first time recently and I really enjoyed it. We all need more Jack Lemmon in our lives.